Since I blogged my goals so late on Friday, I decided to skip yesterday’s update. Besides, I hadn’t scanned anything yet! The only pic update is BoInk – week 9. 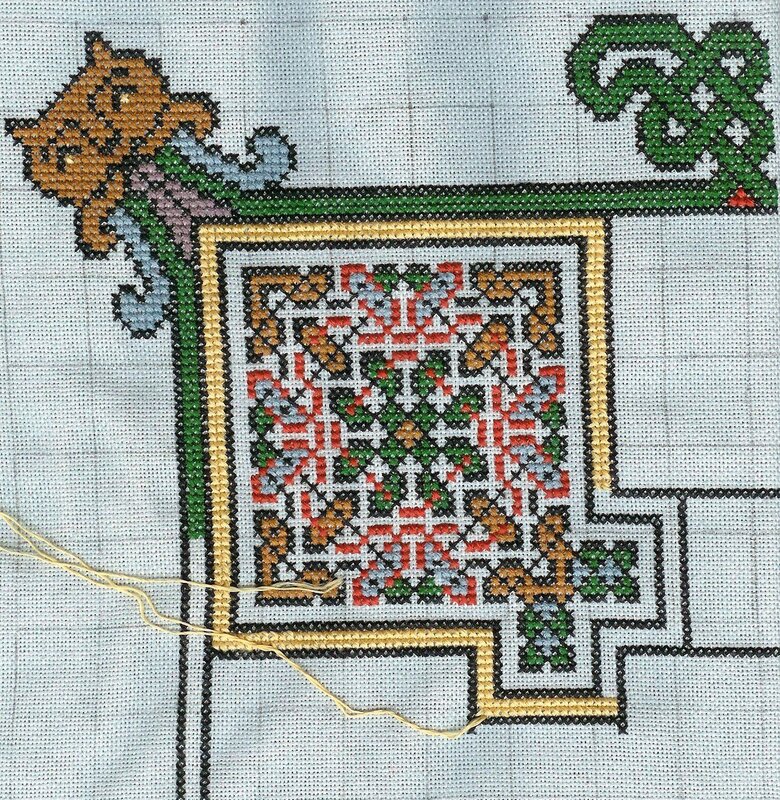 I almost finished the yellow border around Motif #1. Today I’m working on extending the frame to the extreme right, so next week’s pic will be much bigger. BTW, I love this project. Comin along nicely and I love the email photo. Great work, love it!